Nature is beautiful, it is wild, majestic, intricate and full of inspiration. The enigmatic shapes and colours of the natural world have influenced artists of all kind, including jewellery designers. Through their creation, they have tried to replicate and give everyone their exquisite reflection of this earthy beauty. Here are such nature-inspired jewellery collections for you so that you can have a precious piece of Mother Earth to yourself. 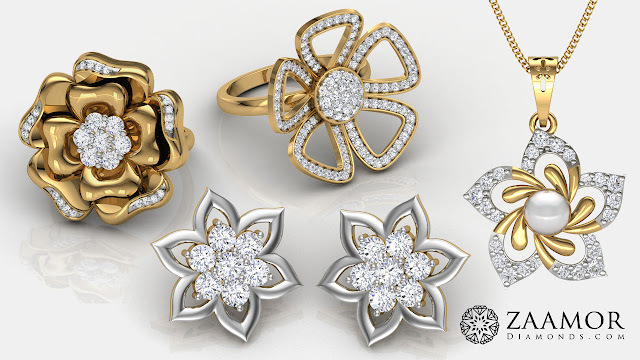 Taking inspiration from nature’s natural ornamentation, the Blume Collection features flowers of all types. From beautiful floral rings to floral earrings, floral pendants, floral bracelets and more, this collection will continue to shine for you even when the summer flowers fade away. 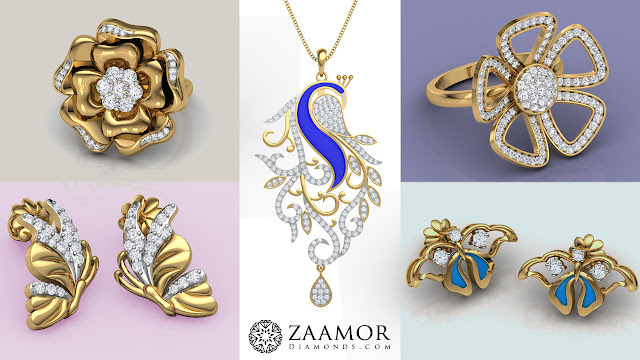 This delicate Blume collection from Zaamor Diamonds is the perfect pick for gifting. Sport them with a fit and flare dress for a day out or party. When it comes to jewellery, flowers are not a fad; they’re a true classic. A fresh bouquet of floral jewellery from Zaamor Diamonds has arrived just in time for the new season! Whether you believe in symbols or just like to admire the beauty of nature in every manner, you will love our Mayuri collection. With an enchanting combination of colours, designs and patterns, every piece in this collection reflects royalty, grace and beauty. While most pieces feature peacock carved out in unique forms, there is a range of items inspired by peacock feathers, the exceptional colour combination and the famous 'peacock dance' theme. Every piece personifies the eternal beauty of the creature in the most brilliant manner possible. Delicate and divine, the pieces in this collection are the conversation starters. Choose anything from signature rings to extraordinary pendants and spectacular earrings to create an imperial and jaw dropping look. The delicate beauty of iridescent wings fluttering their way across butterfly rings, pendant or earrings is a sight we will never tire of. A popular motif in jewellery design for many centuries, butterflies have lent a whimsical and delicate touch to fine jewellery. The Butterfly adds a riot of colours and a flight of fancy. It is feminine and fluttery and charming all at once. 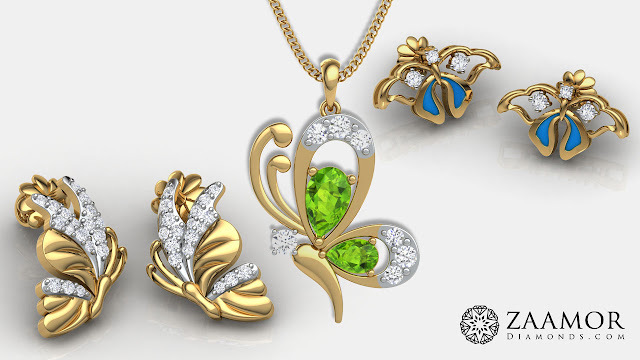 All this jewellery symbolize our love for nature and take much effort to give the pleasant feel. 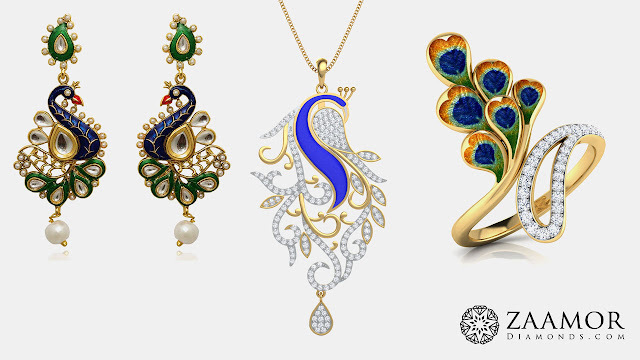 These jewelleries not only reflect our craftsmanship but also our interest to give you the best.